Elite Power & Lighting is a locally-owned and -operated electrical contractor providing both interior and exterior service for commercial and residential customers in the Los Angeles area. In business since 2014, we like to stay personable, informative, and reasonably-priced so that our reputation precedes us. We know that it takes more than just materials, tools, and skill to deliver outstanding results. That's why we are committed to unsurpassed customer service on every job. Contact us today for more information! Are you tired of looking everywhere for information about your <a href="http://myelectricianapprenticeship.com/"> electrician apprenticeship</a>? Tired of being told a hundred different answers on what happens next? I know how you feel. I just recently completed my electrical apprenticeship and let me tell you i’ve heard all the mythsand electrician to apprentice ratio’s you can imagine. Electrical contractors are frequently cited by regulatory agencies such as OSHA and Cal OSHA for not having programatical safety measures in place. If you need a safety manual that is specifically designed to meet regulatory requirements and those of the modern day electrical contractor, we have one. 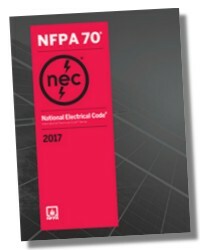 You can instantly download this electrical safety manual at this website. You can also contact me if you have any safety compliance questions as I deal with compliance each and every week.